WATERBURY- Mr. Francis J. Mercier,86, passed away on Saturday, March 11th, at the VITAS Unit in St. Mary’s Hospital. Francis was born on September 24, 1930, son of the late Jane (Dugal) Mercier and the late Joseph Mercier. He graduated from the Taft School in Watertown in 1948. He was a retired employee of Diecraft Tool Co. He enjoyed researching his family’s genealogy. He was an active member at the East End Senior Center, East End Community Club as well as a strong supporter of the Fidelco Organization. Francis is survived by a sister Shirley and her husband Edward Migliorisi of Wolcott as well as several generations of nieces and nephews. He was predeceased by a sister Joan Gauthier and a brother Edward Mercier. The family would like to thank the staff of St. Mary’s Hospital and the VITAS unit for their exceptional care. 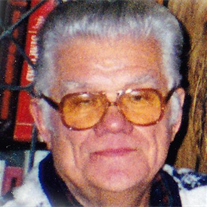 A funeral home service will be held on Monday at 11 AM at the DellaVecchia Funeral Home 690 Woodtick Rd. in Wolcott. Burial will follow in Calvary Cemetery. Calling hours will be Sunday (TODAY) from 6 to 8 PM and Monday from 10 to 11 AM. Waterbury – Chris Corbett, 40, beloved husband of Joanne Hinman Corbett, entered peaceful rest on Thursday, June 11, 2015. Chris was born in Waterbury on April 4, 1975, and was the cherished son of F. David and Betty Quinn Corbett. He graduated from Blessed Sacrament Grammar School, Holy Cross High School, and College of the Holy Cross in Worcester, MA. He earned a Master’s Degree in Criminal Justice from Boston University. He joined the Waterbury Police Department in 1997 and was initially assigned to the Patrol Division. While a patrol officer, he attended classes in Traffic Crash Reconstruction and was a member of the Department’s Crash Reconstruction Unit, investigating serious and fatal motor vehicle accidents. He was reassigned in 2003 to the Department’s Management Team, which was responsible for researching and writing a 1000-page Policy and Procedure duty manual for the Department. He was promoted to the rank of Sergeant in 2004 and was assigned as the Second-in-Charge of the Criminal Investigation Bureau and to serve as the Department’s Public Information Officer. He continued to serve in both capacities when he was promoted to the rank of Lieutenant in 2006. He was promoted to Captain in 2010 and served as the Officer in Charge of the Criminal Investigation Bureau (Detective Bureau)—his favorite job in the Police Department. 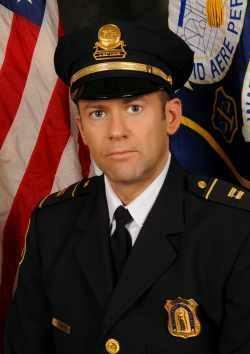 He was appointed Acting Deputy Police Chief in 2013. Chris was twice awarded departmental commendations for excellent police duty. He was a certified instructor in accident and criminal investigation. He was also a graduate of the FBI National Academy in Quantico, VA. In addition to his duties in the Waterbury Police Department, Chris served on the Holy Cross High School Board of Directors, the Waterbury Retirement Board, and the Holy Land Board of Directors, and was treasurer on the Police Activities League Board of Directors. Chris fulfilled a lifelong dream when he became a police officer. He wanted to be a policeman from the time he was four years old. He was a true professional. He worked tirelessly, making himself available 24/7. He had genuine care and concern for others and believed it was important as a police officer to treat everyone with respect. He was so proud of the Department and its crime-solving record. He always said Waterbury solved murders so quickly because of the dedication of his officers. No one went home until the murder was solved. Chris was equally dedicated to his family. He deeply loved his wife, Joanne, and his parents, Betty and Dave—and he told us that all the time. We are all so fortunate to have had this wonderful man in our lives. He was the best person any of us have ever known and we were all so incredibly proud of him. Besides his wife and parents, he leaves a number of aunts and uncles, several cousins, and a host of wonderful friends. We will all miss him terribly.